Metro Art will be hosting two free tours this Saturday, Dec. 3 to explore the photography exhibits in our subway stations. The tours will be led by curator Sam Lee, who will conduct in-depth interviews with the artists. The first tour begins at the Purple Line Wilshire/Normandie Station at 10:30 a.m. Meet at the street level entrance. The tour will be approximately two hours and will end at 7th St/Metro Center. Free TAP cards will be provided for tour attendees at the start of each tour. 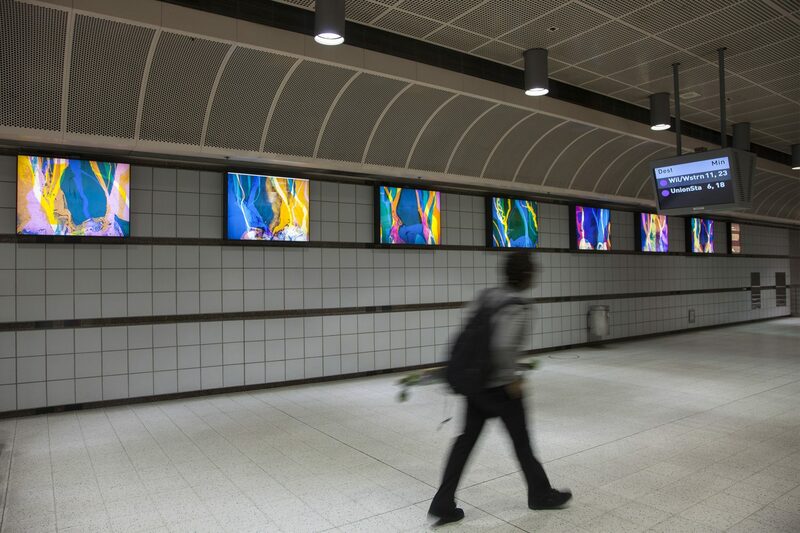 Has metro looked into leasing out walls leading to platforms to art galleries. The galleries could hang a rotation installation of prints (of originals) that are available to be purchased. The transit using public gets to see a fine selection of art, the galleries get more eyeballs, Metro gets more $$; win, win, win.